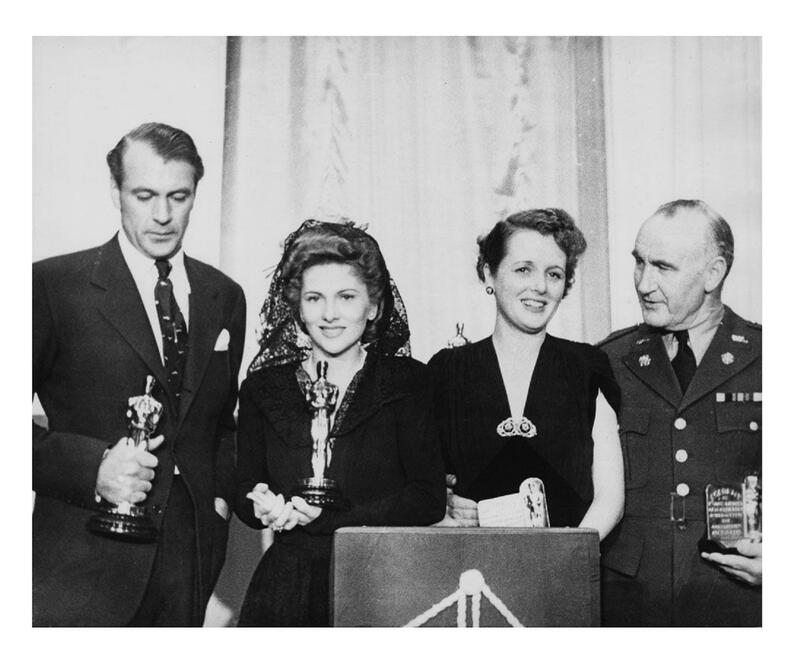 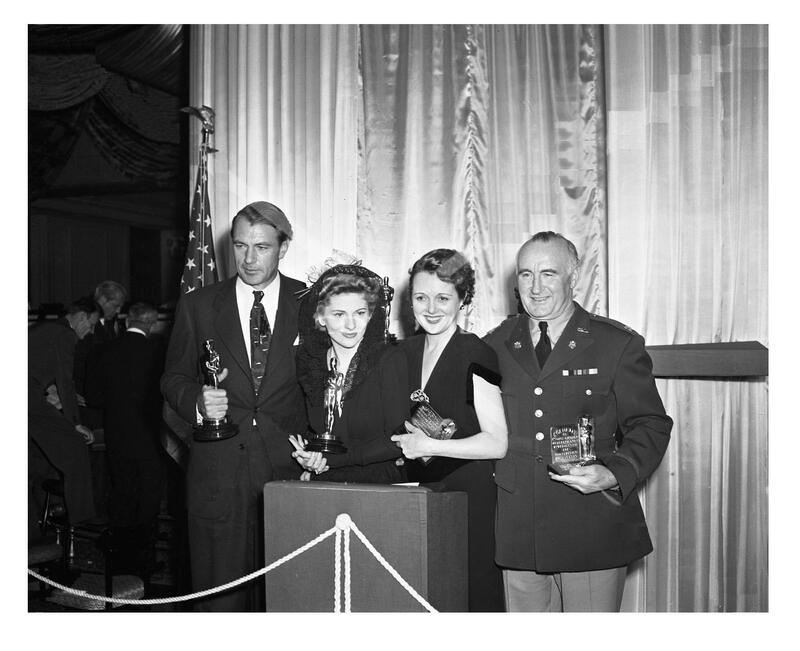 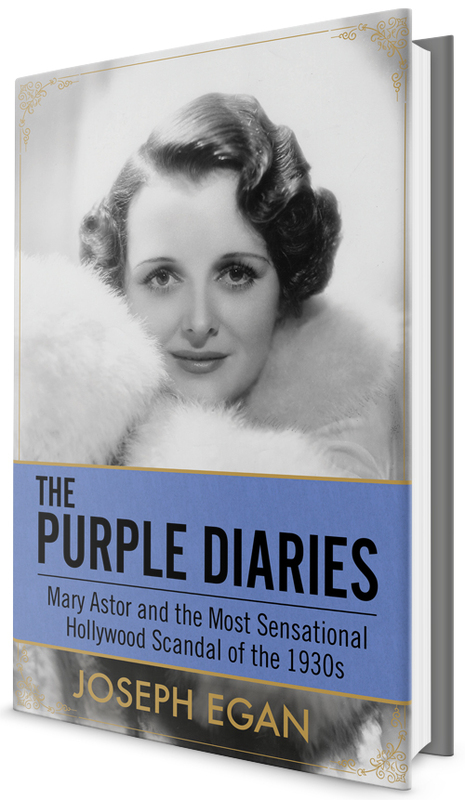 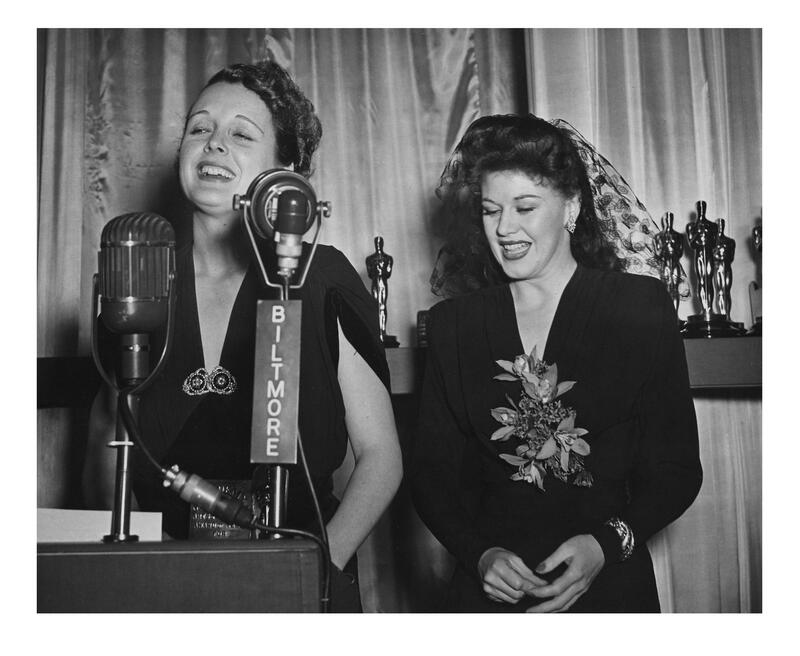 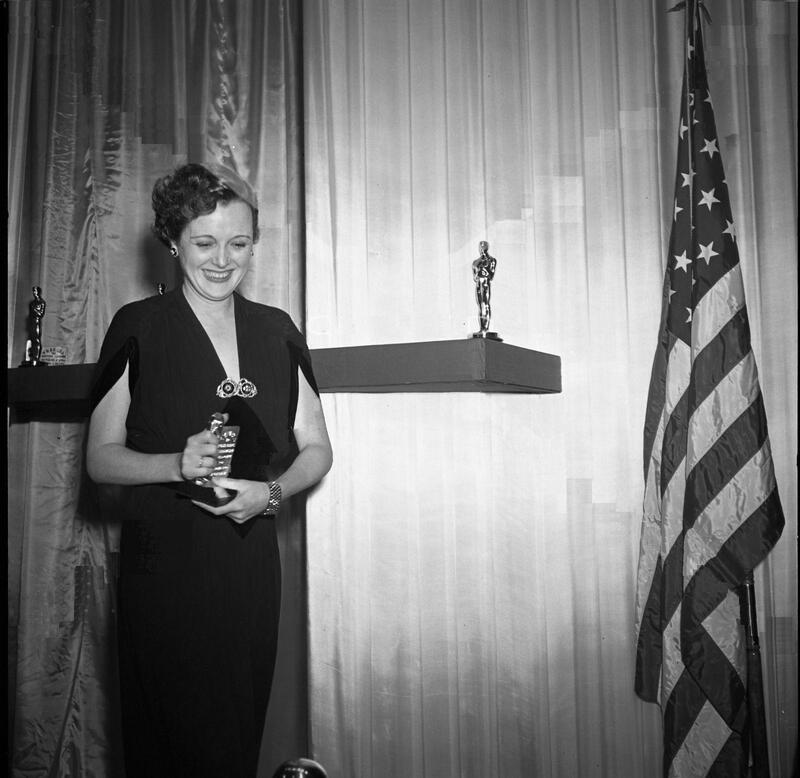 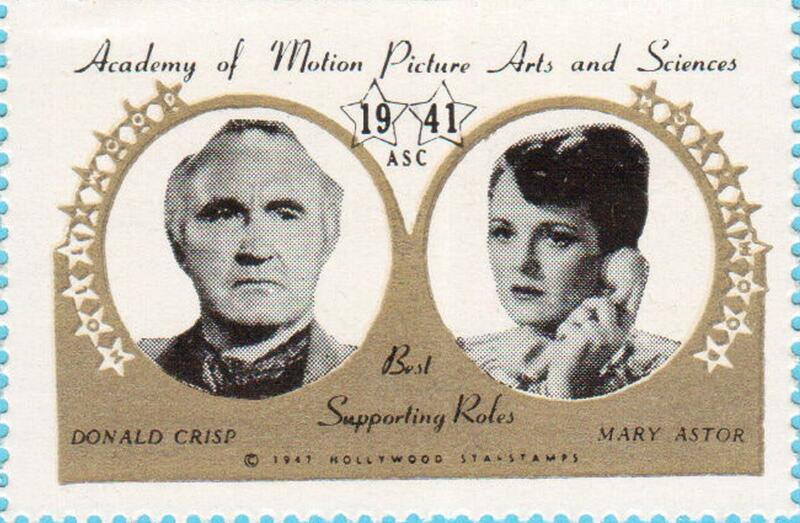 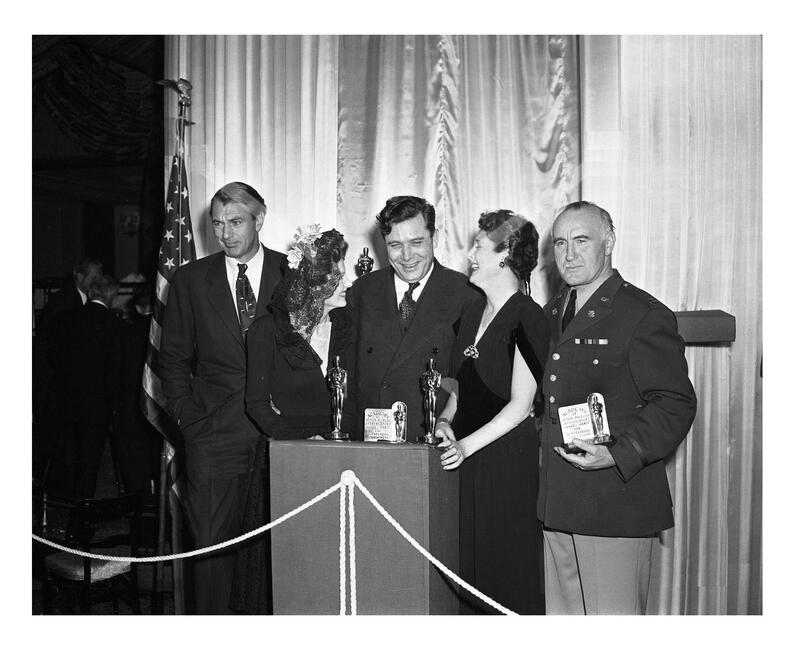 These photographs were taken during the 14th Academy Award ceremony on February 26, 1942 in which Mary Astor won best supporting actress for The Great Lie. 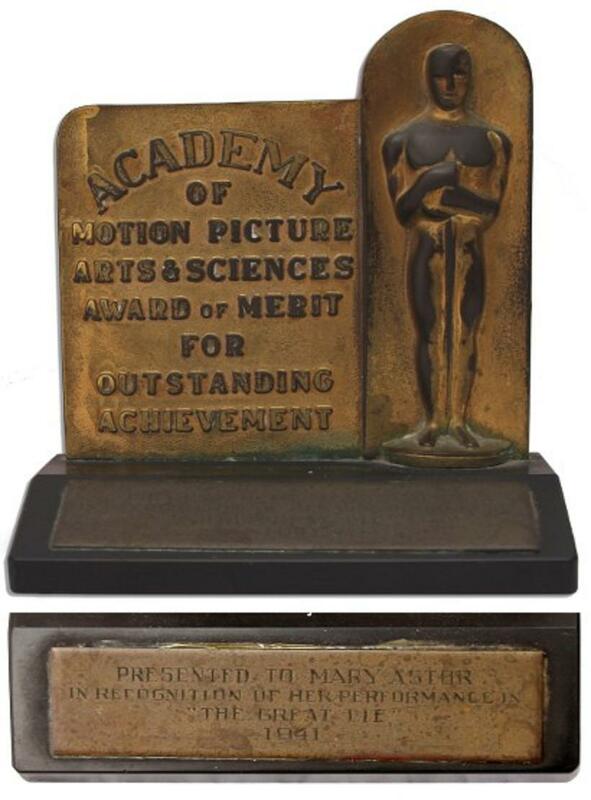 The actual plaque is shown as it appeared when it was auctioned in 2012 and fetched nearly $200,000. 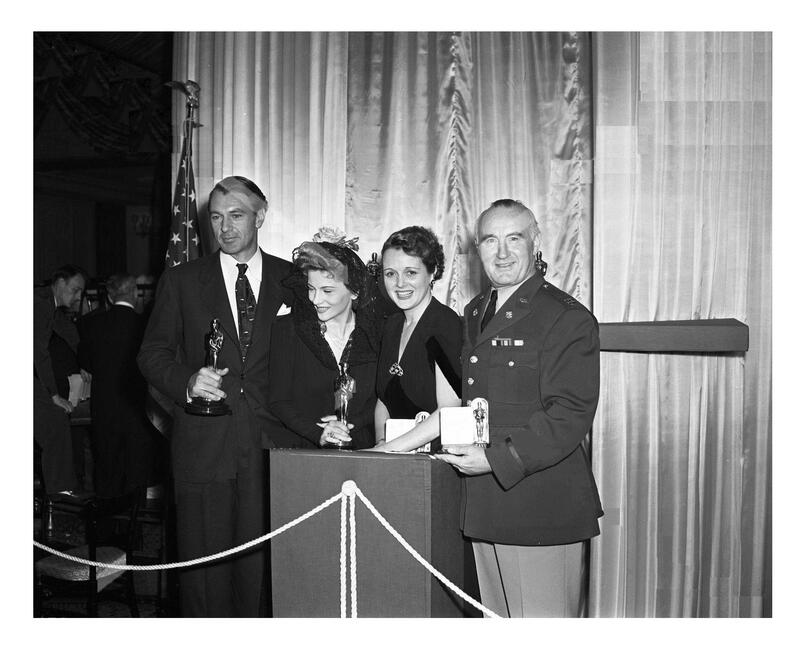 In the 1970’s Astor received a statuette replacement which is now held by her family. 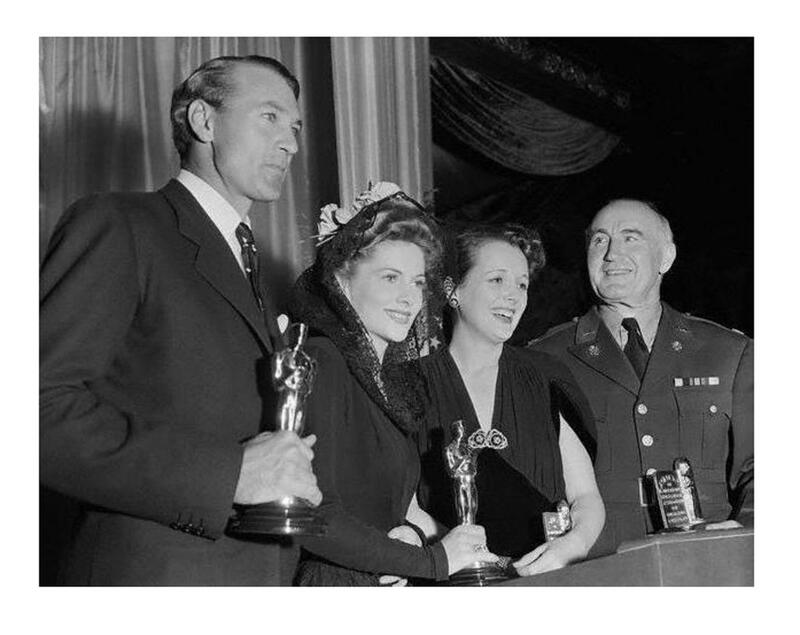 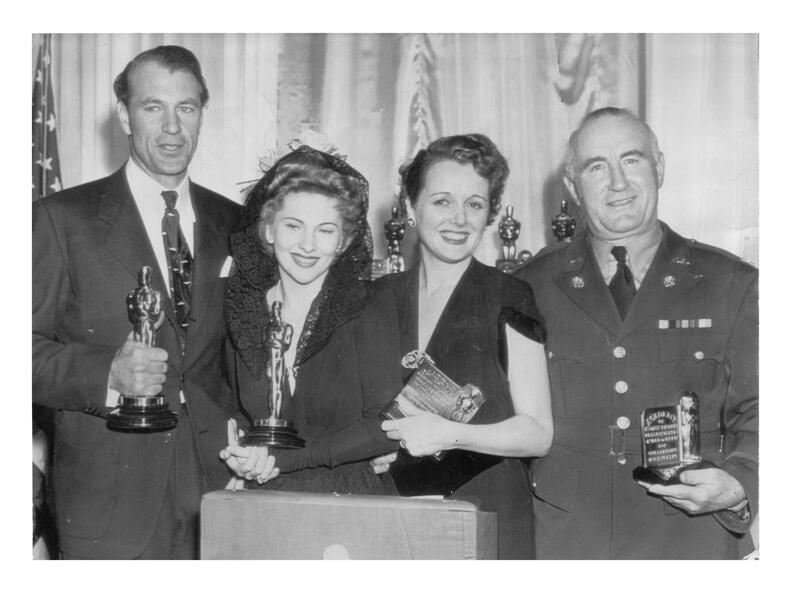 Gary Cooper won for Sergeant York, directed by Astor’s former brother-in-law Howard Hawks and Donald Crisp directed Astor’s second Sound film Runaway Bride. 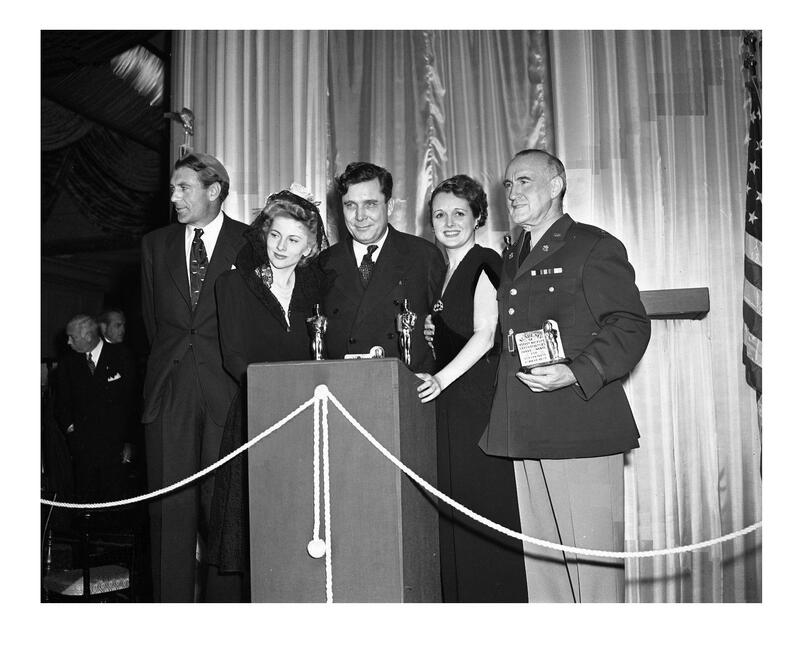 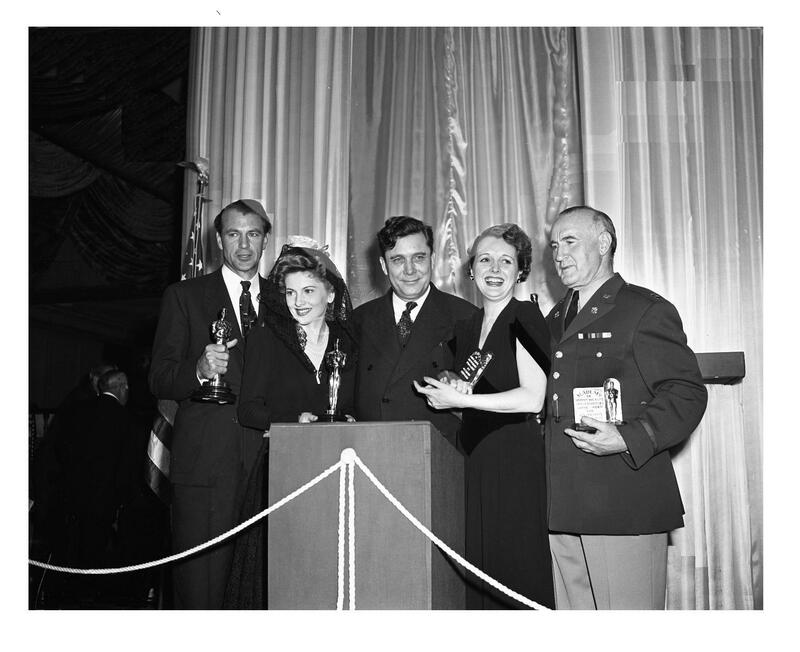 This is also the ceremony in which Citizen Kane was nominated for for nine awards but only one for Best Original Screenplay.